Baby Kangaroo System FSC is a system for sliding fixtures loaded onto two carriers left and right to mount and dismounting them from a machine. 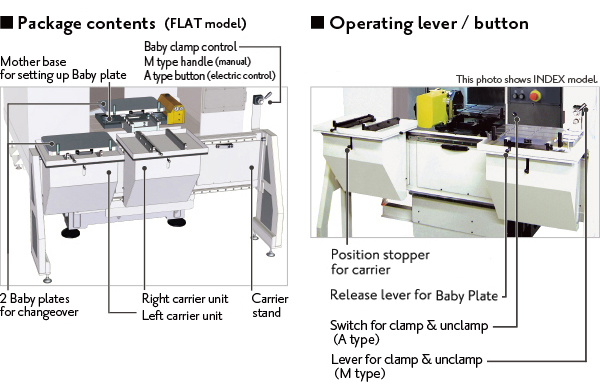 Baby plates can be smoothly changed over by the operation of a linear guide, rollers and a lifter. When performing tool changeovers, you can slide both carriers left and right to access the inside the machine without interference. The switch to external set-up reduces set-up time and also allows an operator to handle a greater number of machines. 2. Manual change of 2 sets fixture plates. 3. Simple and smooth lift & slide exchange. (or the hydraulic unit in the case of Type H). 6.With additional machining by the customer, a baby plate can be used as a fixture plate. Standard systems include 1 mother base and 2 baby plates. 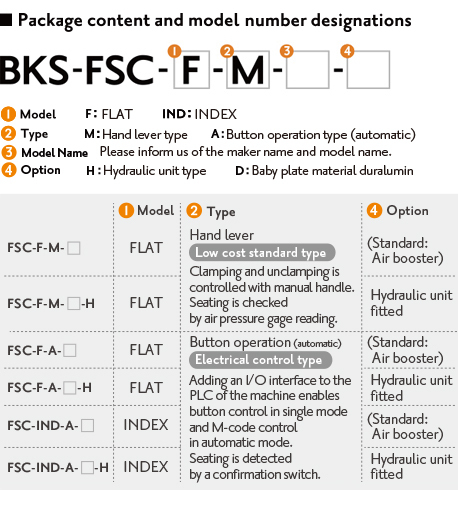 Standard baby plate size is X450mm × Y300mm. The air operated hydraulic booster is fitted as standard. 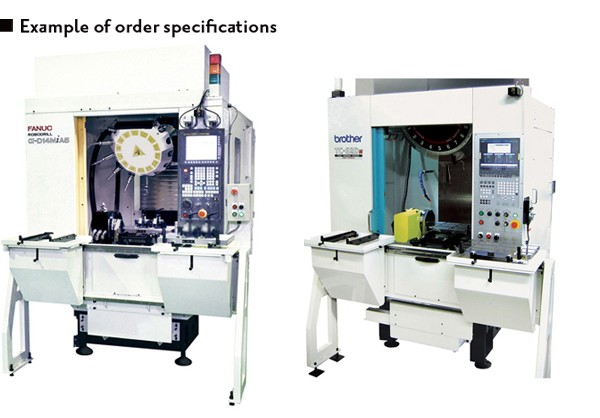 If faster operation is needed, the system can be supplied with a hydraulic unit as an option. The INDEX model is only available for Type A. The INDEX model is not supplied with an index head; customers need to arrange this themselves. Automatic clamping isperformed after inserting the Baby Plate using a manual slide. 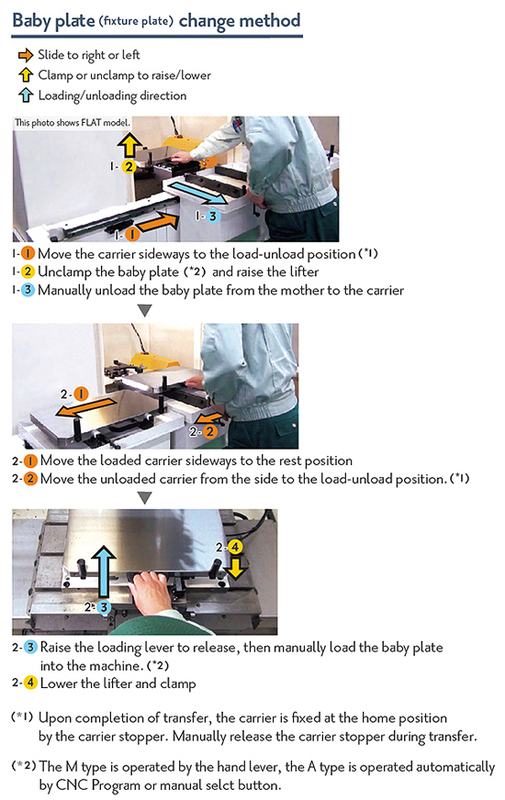 The Baby Plate is pulled out using a manual slide after automatic unclamping and lifting up. and end face are tightly adhered to each other, enables high-accuracy positioning and instantaneous clamping.